Massive! 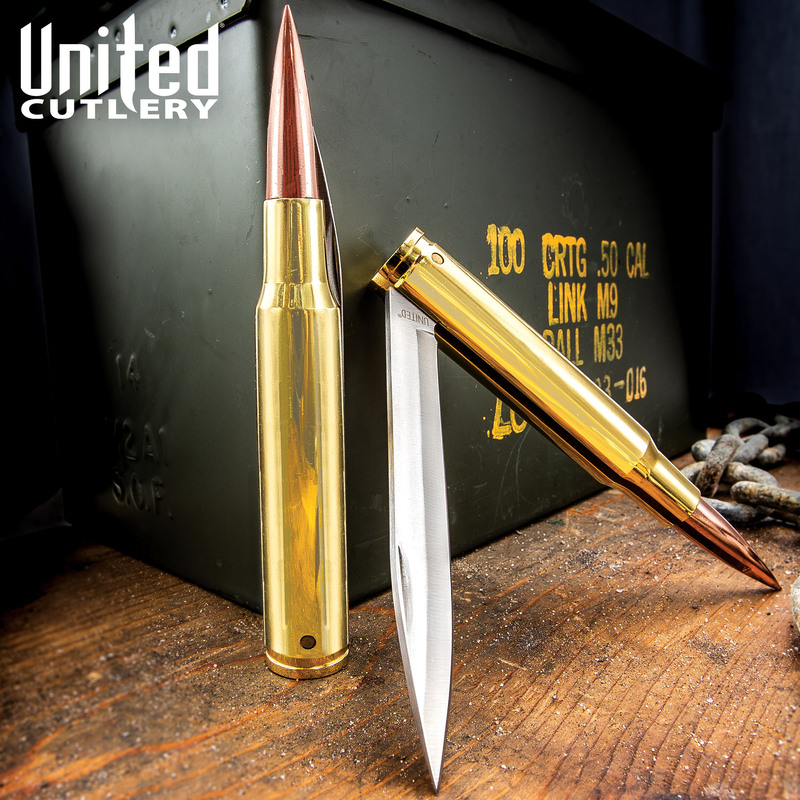 This life-sized .50 BMG caliber bullet knife stands 5 1/2 in. tall and features a 440 Stainless Steel blade. Authentic size and all metal construction. 4 in. blade. 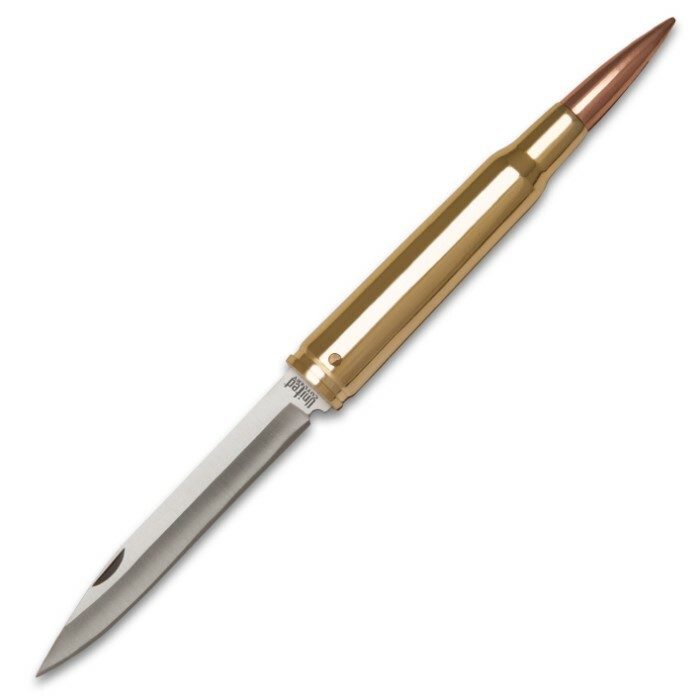 Very nice item, I use it as a letter opener which works excellent. Everyone who sees the item wants one, as it sets on my desk and everyone picks it up to review it. It's an alright knife, considering it's mostly a novelty item, but a major problem it has is no locking mechanism. Nothing holds the knife open but a spring. I was using it and it started to close and the spring pulled it shut and cut my thumb down to the nail. Only a novelty item. Do not attempt to use it. Good quality, looks GREAT! Get you 1 or 2 you won't be disappointed. 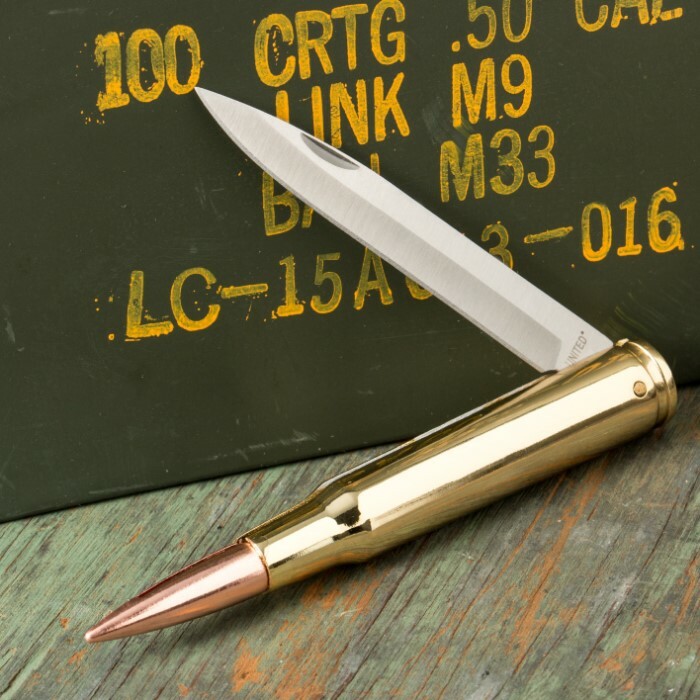 50 CAL folding Knife is a very high quality knife. It realy looks impressave sitting on my desk. Knife is very tight and open / closes great. A great conversation piece when you show it off. Great knife, fine detaikl, sturdy, solid. I bought this knife for my nephew for Christmas, and I was pleasantly surprised as how heavy duty it is, especially for the low price. 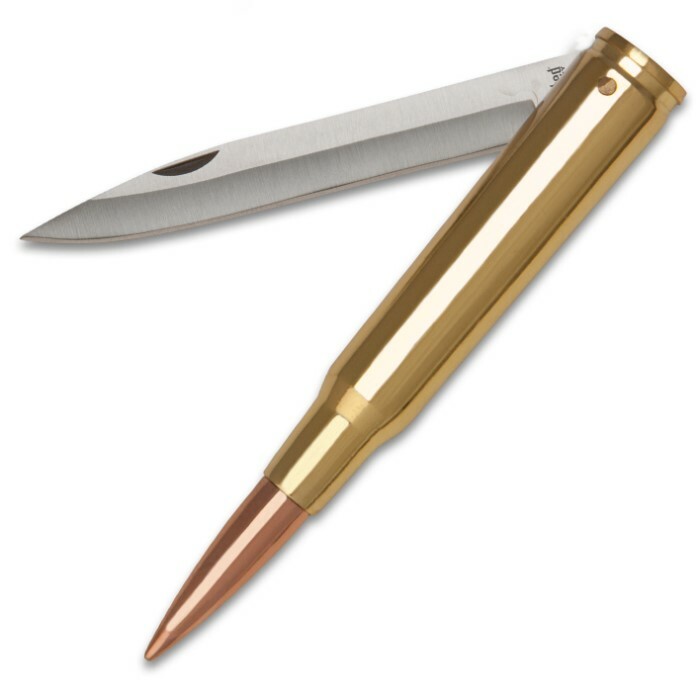 The "bullet" gimmick will make him smile, but it is also a high-quality knife for the price I paid...and, as always, BUDK shipped it VERY fast. Got this knife and it was way beyond my expectations. It's one large and well made knife that just sets off my entire collection. WTG to the folks at United Cutlery for making such an awesome piece of cutlery and BUDK for selling at such a great price. Purchased as a Christmas gift. Very satisfied with the quality of the product. Recipient has it at his desk; will build a Walnut block for display. 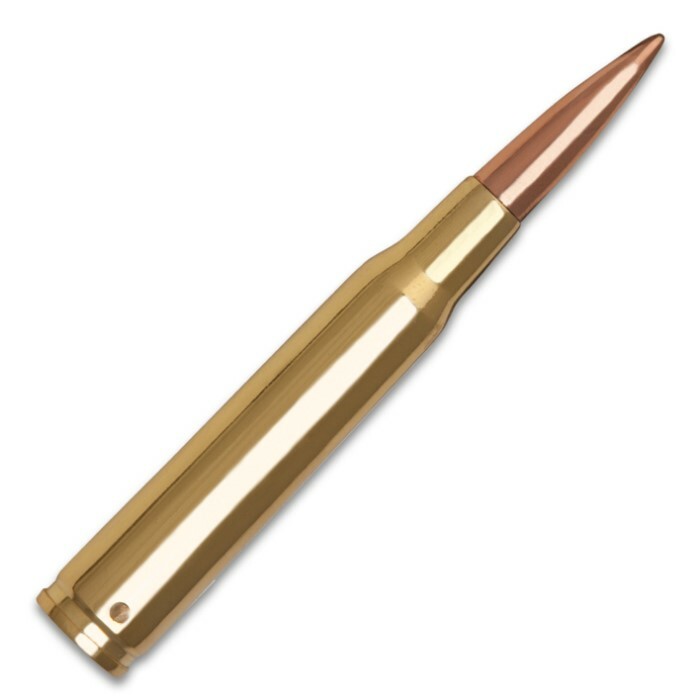 Say's it's too nice to carry around in pocket. First purchase with Kennesaw; I will continue to review your postings and possibly find other items for purchase.